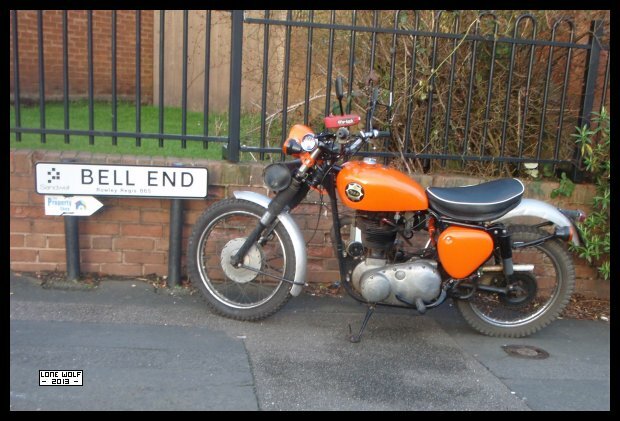 The 30 bobber parked next to an appropriate road sign. Monday, and the new year was welcomed down at the 'Dashers. Tuesday - New Year's Day . . .and it was a case of "Start as you mean to go on" with a ride out on a BSA single. Friday was spent getting spare garage keys cut - you never know when you may need 'em. say start as you mean to go on. Click HERE for the You Tube video of Sunday's ride - Opens in new window.